I was at the Farmer’s Market the other day pining over all of the beautiful produce, and admiring the increasing variety of other products sold there – lotions, soaps, plants, cheeses, etc. I came up to a stand of baked goods that looked good enough to make your mouth water, and I very nearly bought a mini loaf of banana blueberry bread for three dollars. Then the maven in me reminded me that I had all of the ingredients at home to make it myself, and in fact, I had blueberries I needed to use up before they went bad. 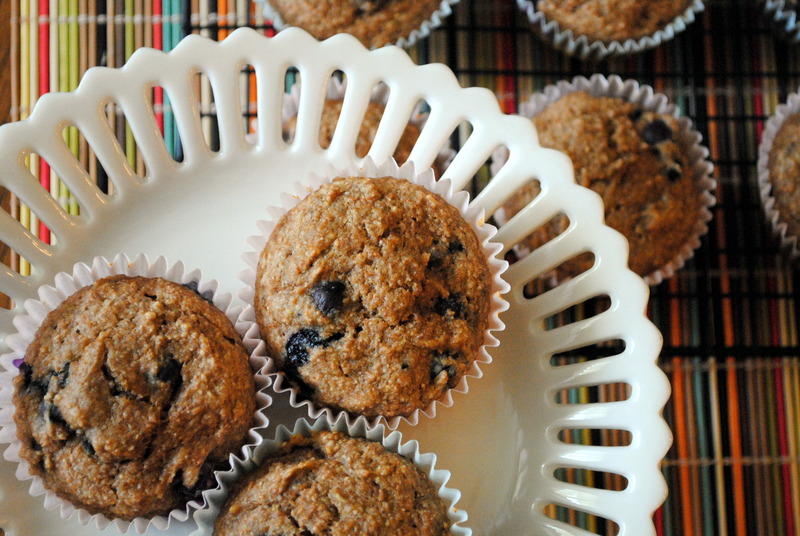 So, I passed up the Farmer’s Market baked goodies and began looking online for recipes. 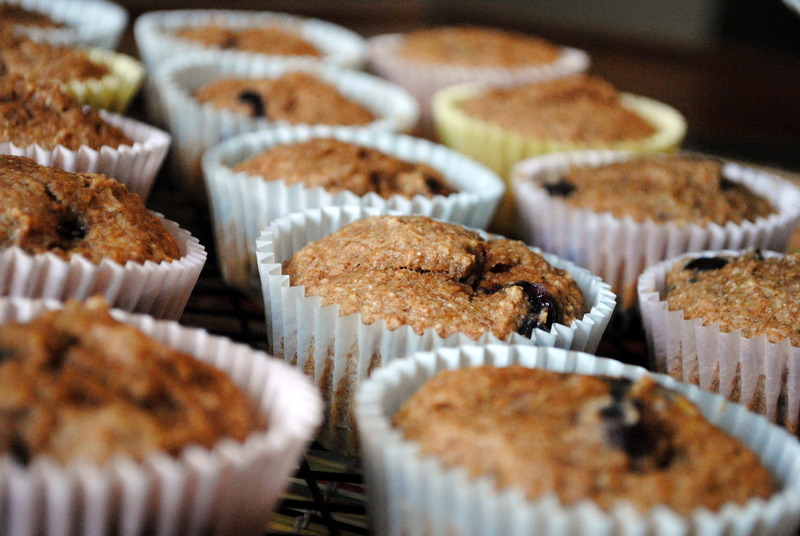 The muffins are still warm out of the oven as I type this. They smell amazing and taste even better! I feel really good knowing exactly what’s in them. And they were very easy to make – I didn’t even use the mixer. 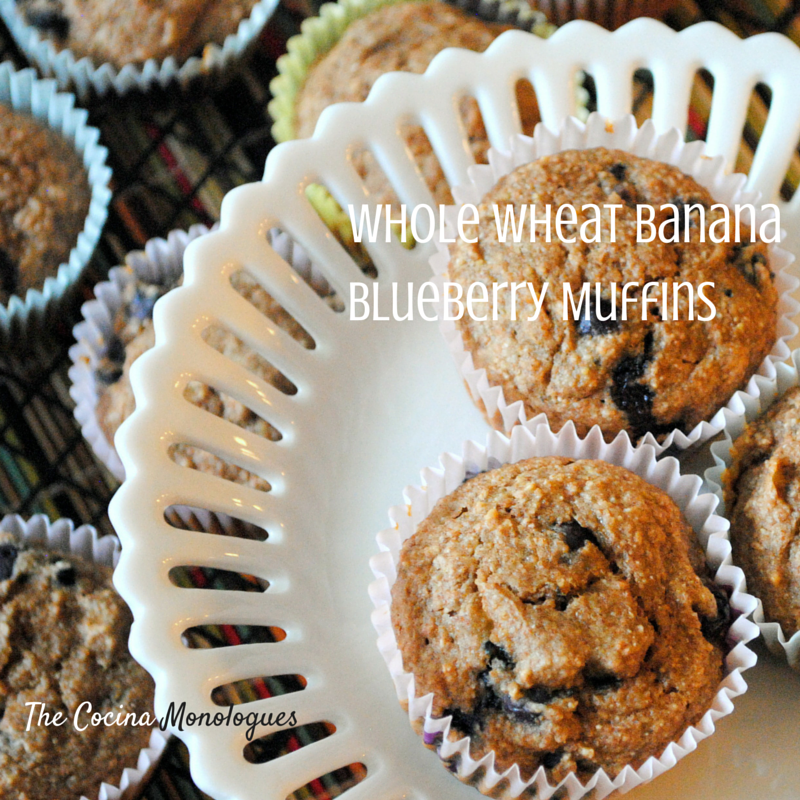 These are a perfect breakfast treat, snack, or healthy sweet! In a large bowl, whisk oil and honey together. Add eggs and mix well. Stir in mashed banana and vanilla. Stir in the flour and salt. Add the baking soda to the hot water, stir to mix, and then add to batter. 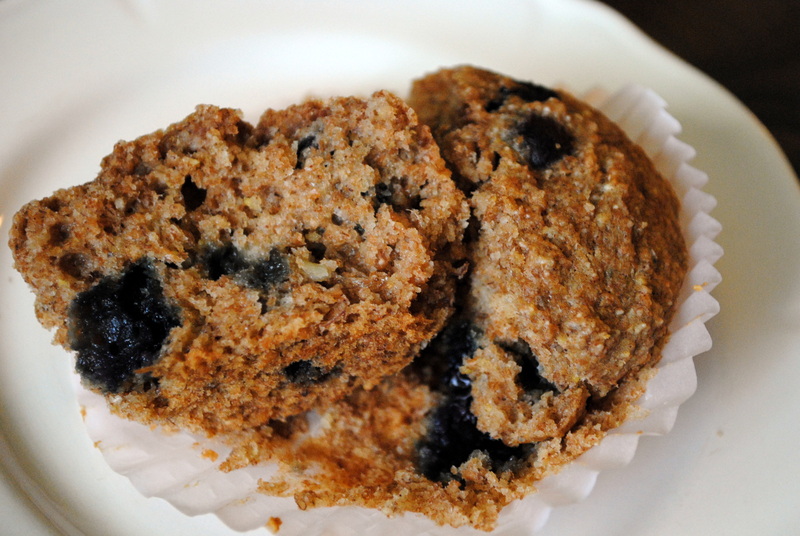 Toss the blueberries with one Tablespoon of all purpose flour. Stir the blueberries and nuts into the batter. 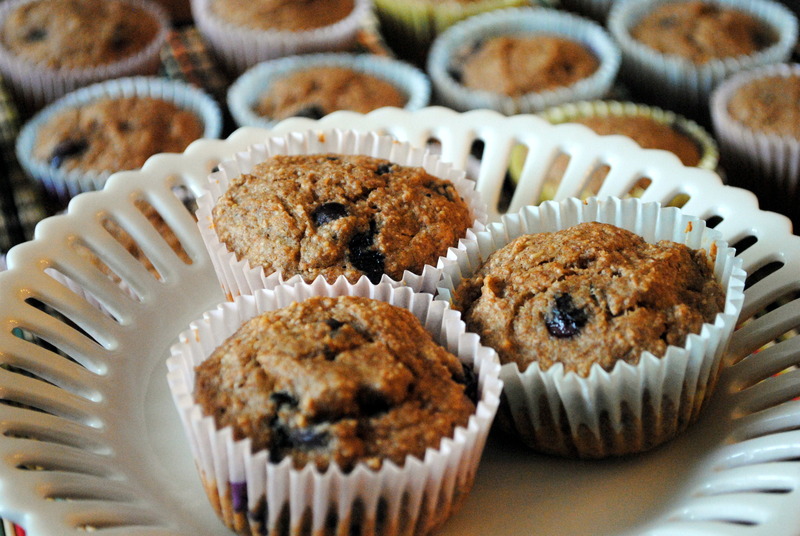 Fill lined muffin cups 2/3 full and bake 15-20 minutes, or until toothpick inserted in the middle comes out clean.